Enhanced visuals, better performance, and a new first-person mode help make the best GTA even better. I’ll admit it: I’ve played and stopped playing games because of the graphics. You’ve probably never heard of Unlimited Saga, a turd of a PS2 RPG that’s considered by many in both the East and West to be one of the smelliest piles of crap ever made, but I can shamefully admit that I’ve played the crap out of it because it’s gorgeous. On the other hand, the 360 version of Grand Theft Auto 5 got the short end of the stick because it ran and looked like crap. I know there’s only so much you can do with older hardware, but still…eww. It’s fortunate, then, that the latest in Rockstar’s series of steal-em-ups has come to PlayStation 4 and Xbox One with the vast graphical and gameplay enhancements that more powerful hardware – and extra year of development time – can offer. 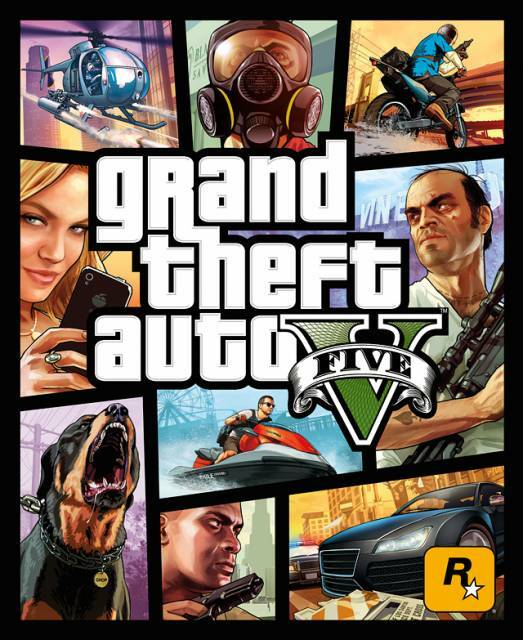 For those that may have missed its original release: Grand Theft Auto 5 revolves around three crooks of varying standing: Michael, a retired bank robber; Franklin, a small-time hood; and Trevor, a psychopathic nut-job who’s basically the greatest character in this game or any other. No female playable character yet, but there’s always GTA6 I suppose. Way leads onto way and this motley gang becomes involved in a variety of player-customizable heists. You can switch between playable characters largely at will and each possesses a specialty that’s useful in different situations. Michael’s great at accurate shooting, Franklin can make cars turn and brake on a dime and Trevor, uh, is mostly just great and killing everything. Between heists there’s tons of missions to do, secrets to discover and side activities to waste hours on. You’ve probably played GTA5, though, so let’s talk about the new stuff. The most significant improvement is that the game does not in fact look or run like crap anymore! The framerate is gloriously stable, the graphics are gloriously glorious, and otherwise it’s a modern GTA game so it’s fun as hell in all the right places. There’s new game content as well, such as peyote trips where you can temporarily control an animal and some random new weapons and more for players of the previous version of the game. The other big improvement is the much-vaunted first-person perspective. It owns, of course. You can play as much or as little of the game as you’d like in first-person mode, including a setting that automatically swings your view back into third-person mode if you climb into a vehicle in first-person. You’ll definitely want to try driving and flying out in first-person mode, though, as they’ve got working dashboards that are unique for each ride because verisimilitude. For actual gameplay, first-person driving isn’t especially handy, but it’s still a welcome novelty that looks terrific. Otherwise, well, it’s still GTA5. It’s fun. Gun combat is great with enemies realistically reacting to shots, the cover system is largely inoffensive, the fact that health only regenerates up to 50% is kind of irritating but not a killer. GTA Online is available in this new version as well just as in the last-gen version; it’s a little grindy for my taste, but tons of people love it so it’s worth a shot. Even if you never touch online play, though, there’s more than enough content in the greater Los Santos area to keep you going for as long as you can stand it. There’s even an iFruit companion app because AAA games have to have those these days. It allows you to train Franklin’s dog, which you can then sic on people. Because why not? So there you have it. It’s Grand Theft Auto 5, polished to a shine, tightened in the best possible ways, and released on the latest hardware. You don’t need me to tell you that it’s great value for your money. If you missed out the first time around or consider yourself a true GTA5 vet you’ll still want to take note as this is clearly the definitive version of the game. The all-new first-person mode makes this feel like an entirely new experience (though not always for the better), while new challenges and gameplay options enhance things that were already pretty well enhanced to begin with. In short, those with PlayStation 4 and Xbox One consoles now have access to one of the biggest, best playing, and most exhaustive games ever made – and did I mention it’s much prettier? Oh, and GTA Online!